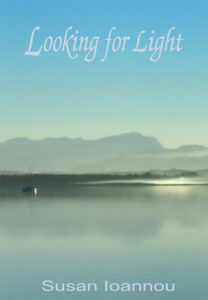 Susan Ioannou’s Looking for Light charms and delights. It also feels like a final statement, as if it’s a summing up and a glancing back across the creative process. 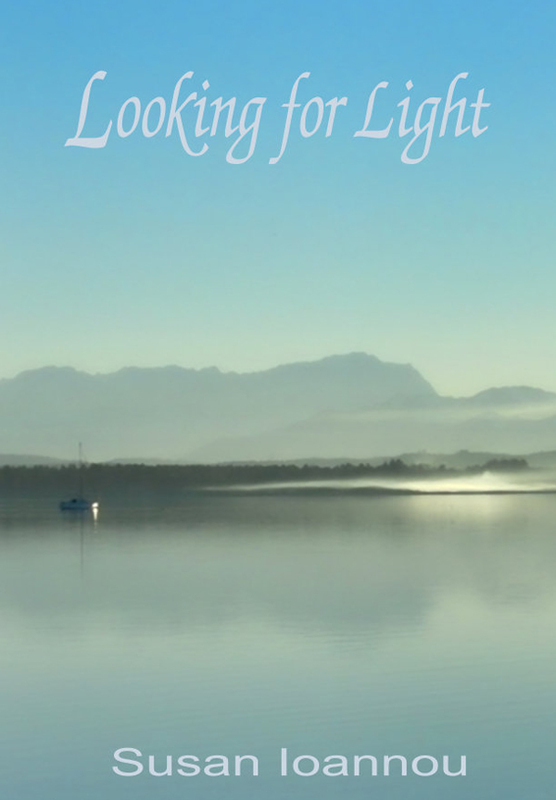 Chris Faiers’s Foreword suggests one pathway into the three sections of Looking for Light. He emphasizes the Muse as a demiurge guiding the poet’s hand, and he rejects scholasticism or anything associated with universities or colleges (though Ioannou has longstanding ties to both). It’s tempting to remember Batchelor’s well-intentioned distinction between the Movement and the Muse-driven likes of Dylan Thomas, Mervyn Peake, and George Barker: “they are not dons, they are not deep poetry readers and critics and university teachers, they are bards.” With Faiers’s prompt, it’s tempting to search for the White Goddess and dig for tree alphabets. But it’s not the case. Ioannou’s emphasis on the personal, the everyday, and increasingly on recollection and questions as the sections proceed, made me constantly rethink bardic readings, eventually jumping off that path and cutting my own trail across the poems without the orange tape to guide me and without fixing her thoughts and experiences on or off campus. Each of the three sections could reasonably stand on its own as an independent chapbook, and there’s a cohesion to each of the three that makes this appealing. “Part 1: Make It Beautiful” subverts Pound’s dictum to renovate, offering instead an opening gesture to the Muse that recall’s Graves’s search for the old always in the new, and the big ideas of beauty and love as poetry’s muses. This mood returns in “Part 2: Beyond Knowing” in poems like “Photon,” “God Particle,” and “Scientist” where intuition is praised above rationality. The theme resurfaces in the abundance of question marks across this entire section. The questions are relentless, but that’s part of knowing and living. It’s more a mysticism and path of direct intervention from the divine. The gesture weds the volume’s focus on the Muse to the nature of knowledge (only in questions) and the practice of aging. The Muse seems as essential to living as to poetry. and wrest in things we cannot recognize. Why this surprising imperfect rhyme? What does the denial of an anticipated resolution say about this God or many readers’ discomforts around the New World to which that God has come. Is this a demiurge of indigeneity holding “Europe’s spires” far away, and if so, what do we make of it here? And more to the point, is Ioannou marking her own discomforts around the “wilder” and “civilized” peoples in the poem? Each of the four preceding stanzas ends with a perfect rhyme after eight lines of unrhymed verse, and then in the closing of the poem, the reader confronts this formal challenge to what seems like another question meant as an answer. I can’t help feeling that this tells me not to trust my gaze, and that shielding my eyes blocks the gnosis the poem drives toward for its conclusion, not unlike a life. If I had a Baedeker, I’d toss it… The reality of working class industrial life amidst travel fantasies has the same troubled “knowing” that comes in the repeated questions. Anticipations fail, and in some sense anticipating what comes next is the struggle with the Muse who always brings the surprising and new. Ioannou closes with “a massive door thud shut ahead” in an epilogue, “The Choice.” It’s a Prufrock moment, “and yet heard the distant voices singing”—by drawing, they sing for her. This is the “catch-nail” of the collection hanging before the thudding door. She sets the nail as “love”, in a caesura, that “words hang themselves upon.” The image haunts with words left behind the poet after the final exit, but in its image words are like any coat and hat, hung up to dry after being out in the rain and muck and mud of the world after finally coming back home. Rather than death as departure, she casts it as return, and the poetry as the nature-lover’s diary of a perambulating life. With poetry as her light, and darkness, in the opening line, Ioannou admits to solving her title. Looking for Light becomes light found, but the point now seems less her search than the reader’s.